Lancaster NG363 / BQ-P was flown by a 550 Squadron crew. NG363 was lost on the 07/08 January 1945 during a raid to Munich. 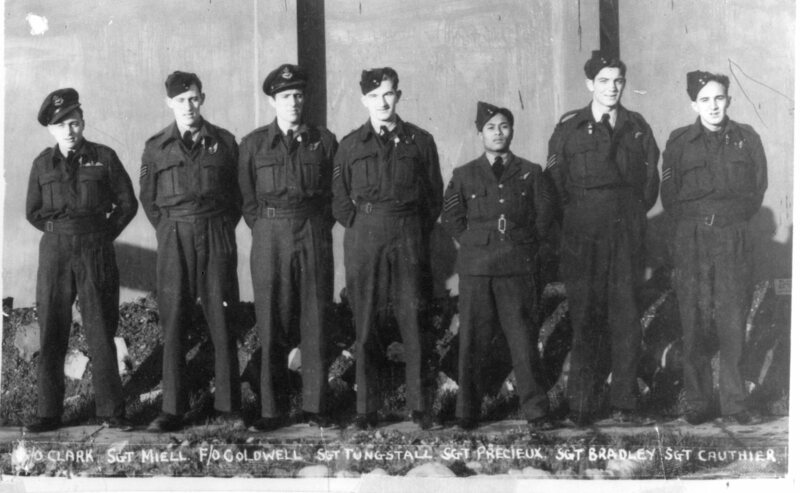 Six of the crew were killed and one was injured and became a PoW. 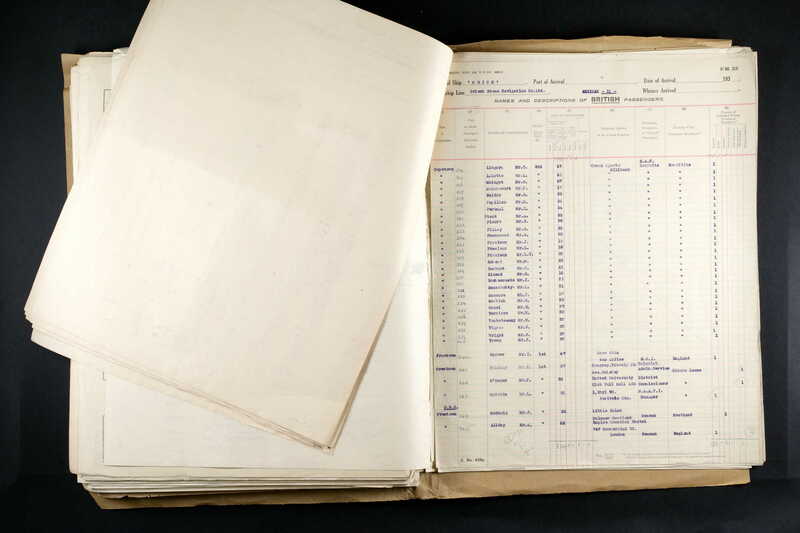 Many thanks for Yvon Precieux for the following information about two brothers and a cousin who all flew in Bomber Command. "... my father (aged 19), his brother (Louis T, aged 22) and cousin (Lois, the youngest aged 18) were all in Bomber Command. Navigation Company) initially putting into Capetown, South Africa before proceeding to Britain. (Greenock)? " information about a No 550 Sqdn. Lancaster crash (NG363) in 1945.
night over the village Brunnthal and dropped there a "Cookie" over a forest. Some miles away this aircraft crashed. We have some information about this crash and when it is possible, I search a direct mail contact to Mr. Chapman. The site of the crash is in the LUFTGAU VII ABSCHUSSMELDUNGEN 7./8.1.45 (BA-MA Freiburg), crashing 27 km south of target near MOOSHAM. The cause of loss is not established; possibly, after it was attacked by a fighter or hit by flak, it struggled on for some time and than succumbed. On the basis of the available information it would appear that the plane flew on for some time after the attack on the primary target, the bomb load was dropped but then it crashed. So the initial point of attack from a night-fighter must be some distance away from the actual crashpoint. When the records for KTB NJG 6 are examined (NG363 was claimed for by NJG 6) just one claim could be matched against this loss and this came from Obfw. Heinrich Schmidt 2./NJG 6. He was the only one to claim a four engined aircraft south of Munich at a combat time of 22.31 hrs. Indeed NG363 was the only attacking aircraft to crash south of Munich during this raid. The other aircraft crashing during the raid were to the north or directly in the city. It is possible NG363 was shot up (or claimed) by flak too, but no details regarding flak claims for this night have so far surfaced. So the evidence all centres around the claim made by Heinrich Schmidt. Analysis based on the abridgment of the KTB NJG 6 (source: W.Kock KTB NJG 6) and from LAC/Ottawa (RG 24 Volume 28236 F/S Miell RCAF). Abschussmeldungen - the rather cheerily named "kill reports"